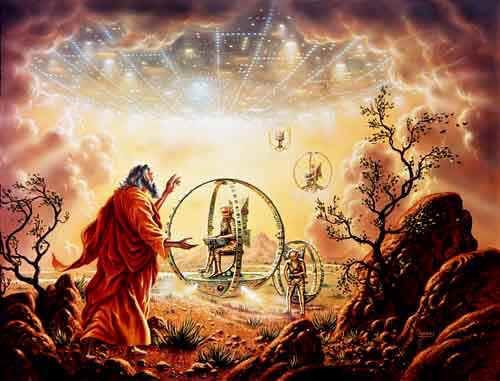 Ezekiel witnessed four creatures descend from the skies in wheels spinning within wheels to deliver unto him what he considered a divine message. They could quickly fly in any direction without turning and the sound of their flight was like thunder. Flying craft described in Hindu texts had a fiery glow, precise controls, could engage in air combat, and sounded like rolling thunder. What do these ancient religious texts describe and who are the ancient sages of old giving men divine revelations? Why, if Heaven is not an actual physical place, do we look to the skies to contact our gods? Who really is your god? receive his messages? Our ancestors claimed to have had a direct link to the divine much more so than we do in modern times, including inspiration from, communication with, and laws written by those from the heavens. Other than scriptures, there surely must be evidence of man’s interactions with gods or angels. The answer to our questions may be buried in the caves of Malta as well as other places around the planet. The strangest and most interesting indicator and evidence that has been uncovered is that ordinary humans and some other creatures seem to have been buried at the same time, in the same strangely constructed cave tombs. The distinctive difference between these two kinds of life forms is the structure of the skeletons, specifically the elongated skulls of the mystery creatures. We ask the question, who would bury their loved ones with creatures that they did not like or did not know? Currently, a number of ancient archeologists are suggesting that we are them – that we were made in the image of the “gods” the ancients saw in the sky. 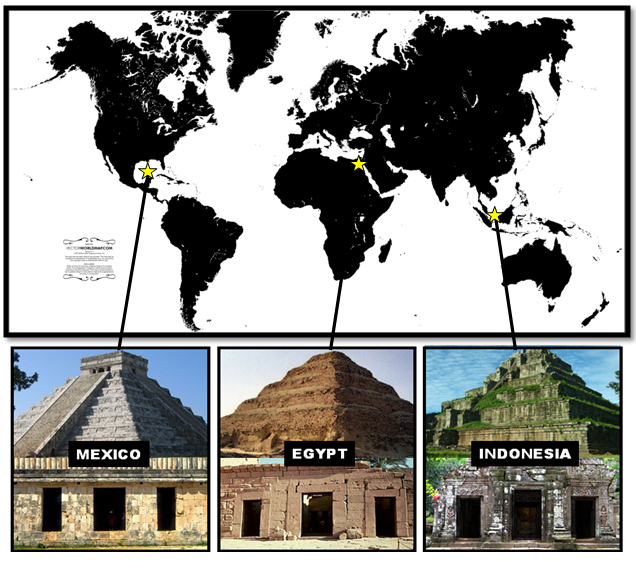 Previously we spoke of ancient civilizations with holy places that are so perfectly aligned with the stars and their proportions so precise that even with the technology of today we could not easily recreate them. Yet during these ancient times, around the world tons of huge rocks were put in to place by people who saw things in the sky and created stairs to the heavens to commune with the gods. We are going to continue with the idea in mind that we may actually find the gods or angels and they may indeed be from the heavens, but not from the hereafter, but an actual place in our universe, and that the phenomenon of UFOs, crop circles, personal encounters, and the architecture of ancient temples are indicators that the gods are out there. Are you ready to meet your creators? Yet there are skeptics who prefer to see the elongated skulls in Malta as mere artifacts of ancient human cosmetic practices. 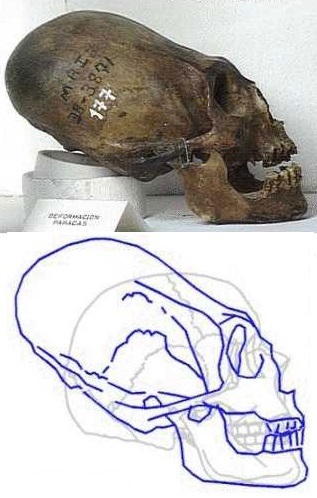 Intentional skull deformation is a behavior that has been observed in multiple cultures throughout the world, the oldest of which dates back to the Neolithic period (approximately 10,000 years ago). Even if that is the case, there’s still something fascinating about the skulls’ burial site and this begs the question. Why would so many cultures across vast distances mutilate their heads in this same fashion if not to strive to appear more like the gods that they met when the sky opened and spinning wheels with creatures came down from the sky like in the book of Ezekiel? Some of the world’s greatest minds, including Stephen Hawking, have said we should not attempt to contact beings from space; we may not like what we get. We kill, dominate, and manipulate all the creatures we encounter, but what if we aren’t the top of the pyramid? If humans are indeed not the most technologically or intellectually advanced species in the universe, we can use the hypothetical super-advanced aliens as a goal for ourselves, as perhaps our ancestors did in crafting advanced architecture and religion. For the sake of our own survival as a species, the enlightenment of peace, curiosity, and cooperation necessary to colonize other worlds might be the only sane path. Notwithstanding, we just might, with enlightenment, during our search of the universe, find God. Ancient aliens taught us how to stack big blocks of stone on top of each other. That proves something. Dear James, all that this proves is that there were very gifted Architects & engineers well before their time! Do I Believe that Aliens exist? Most certanly, as there is much evidence in todays world to dismiss it! I disagree that’s ALL it proves. Those massive blocks of granite were cut to a precision that would be hard to match even today. And they were moved relatively great distances somehow — again by means that would be hard to replicate with even modern technology. And then there are the mountains in South America that have been shaved-off . . . which would be virtually impossible today even with our modern technology. No my friend, something very strange and more advanced than today was at work thousands of years ago. I agree aliens exist and we have proof they’ve visited. I certainly wish they would return. That would provide the humility we need and a common way to unite and shed the political parasites we’re ruled by. I am no one in this world but I have done some past life regressions and when I was in Atlantis I was a chariot driver using the magnetic force of the earth with my own to levitate the chariots and move them along the ground weightlessly they were made of rock /crystal. I think this is how we built those pyramids and temples. I’m just giving you my thoughts. I have read that the ancient Atlantians used crystals to power everything with. So I don’t doubt but what you saw with your past life regression. I want whatever you’re on. Good points, Stephen. Let’s remember that virtually all deities over the ages have been extraterrestrial or supernatural in nature, including those of the Big Three today. They could very well be the remnants of stories about “beings” from other dimensions, now “humanized” for any number of reasons, including our own hubris. Considering the immensity of the Universe as we know it, it is preposterous to believe that we human beings are the epitome of creation or that we have all the answers. It’s our deeply ingrained beliefs that rule and enslave us, not “political parasites”. Their only power is that which we grant them by believing they have it. There are a lot of what if’s in this post in my opinion. Elongated skulls could be nothing more than Human evolution, trying to pack the same intellect into a smaller package. As for Aliens and Pyramids, who said God didn’t create other worlds other than ours? who’s to say we haven’t been visited by them to kind of prod us along. The variables are endless.. There are a couple of things I think you should consider. Man was created in gods image. The he was changed ny god. God said lets make them in our image both male and female. God is bothe male and female. Man was put to sleep and the feminine was removed to make another creature. One connected to man. Adam named her woman because she wounded man to exist. When moses and aron faced off with pharoah. They were facining off with a descendent of a god who came from above and taught them civilization,and secret knowledge. Aaron trough down his staff and it became a snake. The pharaohs man using secret knowledge turned his staff into a snake. God show hes the true god had his snak eat the others. The fallen angels have been running around pretending to be gods for years. Men unable to understand the word they preached hasnt made it clear. God has been trying to save us all. Infact the word for god is plural. You will have no other god gods before me. God is tough. Hes really hard on his people. He had to keep them from falling away. With out god and the jewish people. We are all lost. God has been all over the earth trying to save us,buy the devils been all over the earth too. God created a focal point in order to bring his children to salvation and freedom. That focal point is israel. When you read exodus knowing this is a fight between two gods. Your understanding will increase. When you look at your wife knowing she used to be a part of you being. It will change how you treat her. Now marriage is a little more clear. When two are married they are one in the eyes of god. There are many powerful creature out there. Do what jesus said. Test all spirits (people)for everyone isnt of god. Rev Roy. Sir with due respect, I have been contemplating the theory of mankind’s creation that you mention in your first paragraph for the last fifty years. I find in most cases the interpretations is totally incorrect, as man interprets everything from a very narrow point of view, & that view is in accordance with what he as a mortal can identify with! Example: God created man in his image! Thinking out of the box, it’s reasonable to assume that GOD is not flesh nor Blood? Mathew 7.7 “Ask and it will be given to you; seek and you will find; knock and the door will be opened to you! Cheers! well, I don’t believe that animals don’t have consciousness, In fact I has come to my attention that animals are very aware, and if they are aware of us in the after world, and other being from other dimension’s, then how do you know that they don’t have a sense of knowing the God consciences. I have even heard adoptees say that in communications with aliens that abducted them that the aliens have acknowledge knowing about the high supreme being we know as God. In fact native American Indians acknowledge animals as having enough knowledge of God to interact with God. Just as a young innocent child who has not forgotten about the world they left to come down to earth and live. In fact I even believe plants have some basic knowledge of a supreme being. Well said Ernest! The God that is commonly accepted is not flesh and blood, but pure consciousness… extraterrestrial… supernatural …. other dimensional. It’s easy to spot the hand of man’s hubris when God is referred to as “He”. Exactly! How can a Spirit/Energy/Creator have a gender? “HE”: was used because of the stature of “man” being better than women/children in biblical times and human needs to apply a human attribute to a supernatural being.. A spirit has no flesh/bones/blood and cannot be seen. The God people believe in fills the Universe and is in every living and non living thing all at the same time. We are ONE with the Universe! We exist, live and return to that same Energy Source! It is so very exciting to me! yah, I pretty much agree with much of this, but I would like to add that I think that woman was called woman because she has a woom which is one of the main things that sets women apart from men. just a though. rev Dan Fergerson I know many people ask is their a god or not ? well im here to tell u their is a god . their is a loving god who loved us so much that he gave his only son to die for are sin. their is only one god .wether you are human or allein we are all still subject to the one true creaoter of the universe. god saids have no other gods before me.that saids a lot just in them few words .no other god before me. now if their was any other life form out their then god wouldn’t had to say no other gods before me .look gods is a plural form meaning more than one.if we let are own minds do the thinking with out god we will be debating this all day long if we take it to god and let him show us he will . to allow these to come in play just to get us to belive their is more then one god is just crazy. their is only one god .this is saintans way of bringing confusion in to some of the greates minds who have exsited in are life time take the me out of it and put god in and we will see more clearly to think we are the only life form no we are not the only life form out their a unverse so big as ares no way we are the only life form out their.sciense has put so many titels on life form that its so confusing to understand any of this any more.thas why I say let god in and take are own thinking out and the answers will come so much more clearly.god bless all and this is just my oppion.i respectfully am not trying to step on any ones toes or say anyone is wrong because we all are trying to understand. As virtually all deities are extraterrestrial/supernatural the truth is likely to be that there are other planes of existence or dimensions that we, as humans, cannot comprehend in our 3 dimensional illusion of Time and Space. Carl Sagan and others have done a superb job of explaining the fourth dimension and can be found on YouTube. Here’s a link to the Zeitgeist section about religion which I found interesting. 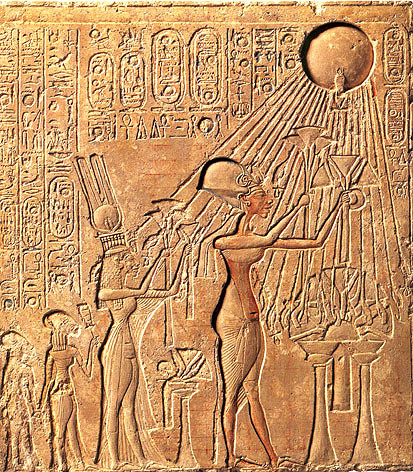 The links to the Sun and astrology make sense and explain many of the misunderstandings that have arisen from the personification of various deities. Also interesting is how often the number 12 appears in various belief systems. 12 tribes, 12 apostles, 12 signs of the Zodiac, 12 brotherhoods, etc. Perhaps there are 12 dimensions, not just the three we stumble through looking for the Truth. In our quest for answers, humans have often “filled in the blanks” for something that cannot be comprehended or explained, with myth, folklore and dogma, when the alternative is to simply admit we don’t know. Although these myths may bring comfort to many, they are beliefs, not facts, and can become vehicles for hatred and division when taken literally and/or rigidly believed to be the only truth. There is certainly no proof that we humans are the most technologically or intellectually advanced species in the universe, quite to the contrary. We are the most dangerous and destructive species on the planet and have put all living things risk of extinction, including ourselves. All of us who have chosen to affiliate with the ULC should agree with its mission, part of which is copied below. We have made it our mission to actualize these tenets in the world by empowering millions of ministers, whether they come to us from a Christian, Buddhist, Muslim, Jewish, Catholic, Shinto, Agnostic, Atheist, Pagan, Wiccan, or Druid tradition, to speak their own truth to power. The communication and fellowship of our scattered millions of ministers, we believe, is just as valid a form of worship as the weekly services held in some of the world’s more segregated and elitist religious institutions. The ULC is not an appropriate forum for proselytism, but rather a forum for the exploration and understanding of the many paths we can choose to find Truth. That’s why I’m here. Proselytism /ˈprɒsəlɨˌtɪzəm/ is the act of attempting to educate or convert people to another religion or opinion. The word proselytize is derived ultimately from the Greek language prefix προσ- (pros-, toward) and the verb ἔρχομαι (érchomai, to come) in the form of προσήλυτος (prosélytos, a new comer). Historically in the Koine Greek Septuagint and New Testament, the word proselyte denoted a gentile who was considering conversion to Judaism. Though the word proselytism originally referred to Early Christianity (and earlier Gentiles such as God-fearers), it now refers to the attempt of any religion or religious individuals to convert people to their beliefs, or any attempt to convert people to a different point of view, religious or not. Proselytism is illegal in some countries. If we all strive to avoid proselytism the world will be a much better place. For sure, Gregory! All major religions in the world today contain some form of the Golden Rule in their teachings. It this were practiced, not just preached, the world would be free of much of the conflict and divisiveness that we’re witnessing. You are so right! We to often try to put the existence of the Spirit Creator into a box and form. Spirit has no form and fills the Universe (actually is the Universe) and that energy Spirit lives in every animate and inanimate thing. Who are we to try and say that the Creator did not come in many forms to different people? There is no one right or wrong. That is the great mystery to embrace. In the end, we all return to the Creator of all things. If that is a “heaven” or “paradise” then so be it. If we are just absorbed into the energy so be it. One thing science has proven beyond doubt, nothing ever ends, only changes forms. Well said, Jack! The illusion of our 3 dimensional Space/Time “Reality” limits our perceptions greatly. It’s said that Time is Nature’s way of preventing everything from happening all at once, which is the actual Reality. This is the box we are trapped inside until the truth becomes known. Also there were 12 Watchers who were over two hundred who were over…ect. in Enoch.12 is a very spiritual, richualistic number, yes. Proselytizing..there is a very fine line there. Teachers are the biggest proselytizers in the world and anyone who is interested in wisdom not just understanding has to be careful of what they are taught. Anyone with an agenda can say they don’t have one or can’t havevone and do. People who make laws against proselytizing are just creating more problems of fear and control. It’s sad that the story “fallen mind” of man was a mind that constantly has to pass judgements and condemnations. To me, that is what we need to free ourselves from. Never let anyone take away your right to think by any means! As a teacher that , control should never be our goal. As long as we entertain the concepts and the existence of EVIL and Punishment, they will exist. GOD is LOVE. GOD is PERFECT. There cannot be 2 streams coming from the same fountain. Removing oneself from LOVE and engaging in thought outside of GOD and LOVE bring on many dis-eases. ALIEN life is also GOD LIFE. WE ARE ALL ONE in the UNIVERSE. Very well said! Good points! I like this! dr1u1, you have grasped a universal Truth, We are all one in the Universe! I for one don’t put any credence into the ‘man made’ creation know as Lucifer, as the story of his creation to his damnation is ludicrous! The story is so absurd, unbalanced & so humanised I can’t believe that intelligent people still use this laughable ‘boogeyman’ as a tool of fear & damnation! An uppity Angle & his gang defies the creator of all things, in his presence then war breaks out between good & Evil? I find this description, not only the most insulting slur to Mighty GOD, but the greatest insult to human intelligence! To believe & promote this second rate ‘being’ (Lucifer) & his followers, can possibly be a challenge to God is degrading & highly disrespectful to the Creator! Does Evil exist? You bet, but it’s in the hearts of men that it exist, not some mythical monster that was created from man’s imagination to keep the pagan believers in line! please read Marija Gimbudas for starters. please learn the reality of woman’s history and it’s significant place in the real history of the human species on this planet. and let the divine within guide you. we are love. we came here to help our kind and those that are native to this particular wave of consciousness that we are physically manifesting in. And, to receive help from our kind and those that are native to this particular wave of consciousness that we are physically manifesting in. Without a clear understanding of woman as the originating god and archetypal mythological being, all else is pure speculation. by the way, this is the month to honor woman’s history. So, there is supportive energies to get some education in this area. where did all the alien inflation stories come from?? They are not aliens but us from the future – time traveler to teach us. Thank You Brother John and Gwen. If only we could permeate this world and all its’ people with Love, Compassion, Empathy and Peace! What a Wonderful World it would be! We can do that Andrea! Here we are basically “preaching to the choir”. We need to make our voices heard loud and clear. If we’re members of a particular church, we need to ensure that it’s vigorously promoting peace, understanding and acceptance of other beliefs. All churches should be taking a public anti-war stance. I’ve used my ULC ordination to secure a spot in the Pastor’s Point section of our local newspaper. I encourage you to do the same, as many people could be reached by this simple act. It’s time to shine the light of truth and expose beliefs that are destructive, dogmatic and divisive. Here’s my latest published submission…..
Is yours a Peace Church? There are many Christian churches, often called “peace churches”, that refuse to participate in war and killing. These include: the Anabaptist group (Mennonites, Amish, Hutterite, etc. ), Quakers, Seventh Day Adventists, some Pentecostal groups and others. Not so with some of our mainstream Christian churches today, who have decided that “kill” was a mistranslation that should read “thou shall not murder”. This translation allows for “righteous killing” assuming there is a proper motive, intent and justification, creating a gray area that remains black and white for the Christian pacifists. For them, God created all of humankind and all lives are precious. Just as importantly, they follow the teachings of Christ, the namesake of their belief system, who is quoted in the previous paragraph. Assuming “murder” has replaced “killing” in some versions of the Bible, what are today’s Christians to believe? What is the stance of their chosen denomination and their minister/pastor/priest? Is there a gray area? The answer will probably depend on the circumstance. In a home invasion or robbery, is a Christian justified in using deadly force to defend themselves and their families? Many would say yes. But how about if they were the invader, in a far away country, where they chose to put themselves in harms way with no immediate threat to their family or country? What if the “collateral damage” from their weapons included the deaths of innocent people, including women and children? Does this qualify as “righteous killing”? Brother John, your own beliefs are so in synch with my own. You are truly enlightened and its wonderful to meet a fellow kindred spirit. May love and light be with you always. Didn’t see any evidence here. Yes sir, Brother John. I wish others could see our plight for truth and understanding! Peace, love and respect to all! We can help shine a light KingLarry. See my reply to Andrea a few comment up from here. I’ve had a number of very positive reactions to my articles. You can use your ordination to publish encouragement for enlightenment in your area too. “Peace, love and respect to all”… what a beautiful and elegant statement! Thanks for your thoughts, and I just noticed the new post. I enjoy your posts, and your sentiments. That’s great to use your ordination to have a voice at the local newspaper! After reading your comment, I know what you mean, preaching to the choir. It’s like when some self help segment is playing on a tv show, the ones who need the information, are not watching that show. I often wonder why man has used violence as a way to settle disputes. I don’t think that giving someone the knowledge, or the ‘right’ to take another’s life, is an indigenous trait of man. I have a couple of friends I need to share our site with. KingLarry61, all humans are born with a conscience and without sin, but many are over ridden by the beliefs they are taught by their culture, families, religions, etc. I think man has resorted to violence through these beliefs that are encouraged and propagated by those who profit from it. All we’re seeing today is the continuation of the very profitable business of war made possible because enough people believe they are the righteous ones. Why does no one think about the possibility that we (or some other humanoid species that lived here) were quite advanced and then wiped out by some catastrophic event (meteor strike, pandemic, etc.)? You’re in the right place, Bryan. Most of us here see the common threads between the world’s religions. Unfortunately, you will also find fundamentalist Christians, similar to those who turned you away from the Bible here as well. It’s ironic that their the preaching they do to convince people that theirs is the only truth is the very thing that turns so many people away. One of the common threads between religions is a version of the Golden Rule, present in all major holy books. I find it incredible that so many people choose to bury this gem and others under huge heaps of useless information including names, places, dreams, etc. The Bible tells us; God created the heavens and the earth. He created for six days and on the seventh day, He rested. Unfortunately, The Bible does not say what He did on the eighth day. The Bible also does not say that God ‘stopped’ creating. I am an Eighth Day Adventist. We believe that God created the world in six days. On the seventh day God rested and fell asleep. As God slept the world went to hell. On the eighth day God woke up, took a look around and said, “What the #@&!? !” Then God fixed everything back up. Once again, God the creator of all things required 6 days & nights to create a puny Earth when compared with the Cosmo, then to add insult, “HE” rested on the sixth Day? Surely that statement alone is absurd enough to wonder who was this Moses, & this so called Holy spirit that guided him to write this most ridiculous history of the world? Is it no wonder that educated modern man is shunning the Bible as stories written by insane, mad men? I would have preferred the title to read: Evidence of the Gods? Agreed Jack. Your beliefs are in line with the spirit of the ULC. There are truths in every “holy book”. Unfortunately, we may have to dig past the detritus of useless information that’s been included to find them, or look for them in more contemporary writings. Believing yours is the only truth, as fundamentalists do, causes much of the divisiveness and conflict in the world today. Surprisingly, there seem to be a substantial number of them on this site LOUDLY TRUMPETING THEIR BELIEFS and bypassing the fact that the authors of the Bible were superstitious and ill educated, as you point out. These authors, and more importantly, those who appointed them as “prophets”, were men with an agenda to control the masses and put themselves in positions of power and wealth. Incredibly, after thousands of years, it’s still working. There is a general awakening happening though, and more people are questioning and rejecting the rigid dogma that’s generated fear, submission and conflict for so long. I’m currently re-reading The Power of Now by Eckhart Tolle and highly recommend it. There’s no interpretation necessary, just thoughtful contemplation on the simplicity of the truth he offers. Thank you for the book title and author. I love to read and will certainly get this one. It is wonderful to find people who think as my sister and I think. We thought we were the only one’s who questioned the scriptures and those who wrote them. I graduated from a Pentecostal Bible College in Tupelo, MS. I left the denomination some 40 years ago. Just to many man made rules and teachings along with not accepting all people. I find ULC uplifting and encouraging in this day and age. The truth is woven into all of humankind’s efforts to explain the inexplicable.If we are open minded and honestly seek the truth, it will be revealed to us. Absolute truth exists regardless of human error and it is for us to rise up to it’s level and not try the ridiculous task of dragging it down to our limited understanding. It is rather arrogant for us to think that anyone has this all figured out when you look to the sky and see a million suns, any one of which could have a life sustaining planet such as Earth. Our creator is surely capable of more than we can possibly know. Kick this one around your bucket: The Christ was sent by the Creator as an example to this existence of beings, of the eventual perfection of its creation. The Bible verifies this concept. Peace and Love! We have to remember that the Bible is one of many books that provides teachings or guidance for Positive daily living, as well as a source of history/bibliographies, etc.. The choice is ours to choose a religion that provides knowledgeable existence into the depth of our inner self. We may become distracted and at times reverse psychology must be used…that’s when the acceptance of forgiveness can reign. We have the freedom to believe in ‘our/my’ God and still respect and fellowship with you and your beliefs of ‘your’ God. Stay encouraged and have a very blessed weekend! To change the word in to on or upon is deception and changes the correct meaning of this paragraph. 18 Here is wisdom. Let him that hath understanding count the number of the beast: for it is the number of a man; and his number is 666 (or six hundred and sixty six. To take out the word SCORE, changes the entire meaning of this Paragraph. If anyone IS TO GO into captivity, into captivity they will go. IF ANYONE IS TO BE KILLED with the sword, with the sword they will be killed.” This calls for patient endurance and faithfulness on the part of God’s people. This revision is incorrect and misleading as most all revisions that are not the Original king James version. A foundation of Intelligence on theory alone is fiction and is a foundation without wisdom. Most corporate religions use Theologians for their foundation and a theologian bases their knowledge upon Theory and Religion’s teach these theories as fact. Until we develope “warp drive”, space traveling aliens will ignore us as “too primative” to be worth contacting. Everybody knows that!